Mahindra & Mahindra, one of the leading brand in automobile industry is in news once again. 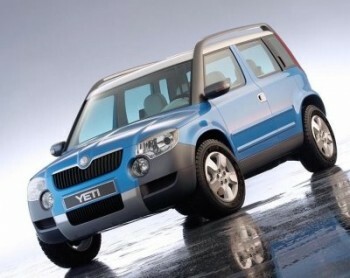 As per the reports, company is hoping to lift its fortunes in compact SUV segement and very soon it will introduce a new entrant under it’s premium ranges of affordable SUV. This new compact SUV is currently known as Mahindra SUV S101 which is continuously in talks of the automobile experts regarding it’s design and concepts. 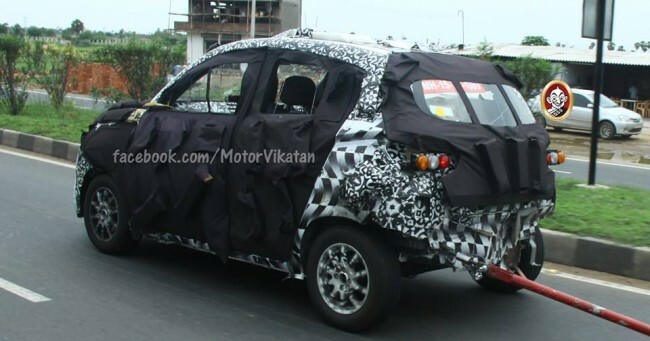 As per the spy shots spotted on FB page of motor viketan, we assumed that this new compact SUV is designed with an intention to compete with Ford EcoSport and Renault Duster. 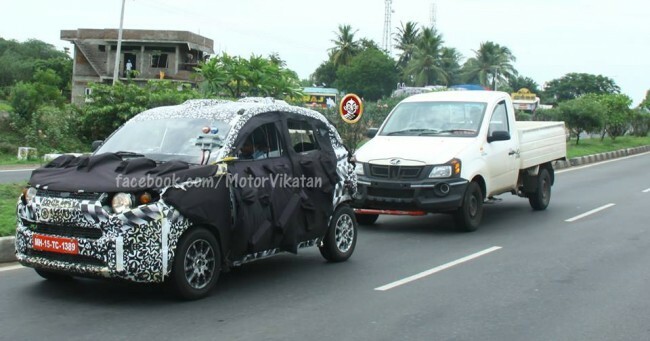 This new compact Mahindra SUV S101 will join the sub 4-metre lineup of compact SUV launched by Mahindra which consists of the chopped off Xylo, the Quanto and will soon be joined by the Verito Vibe hatchback. 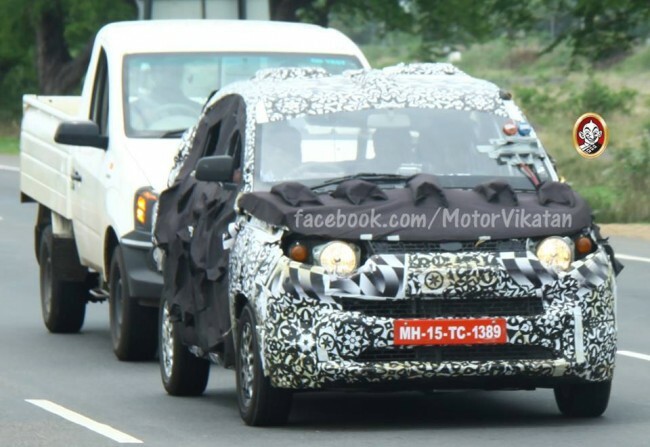 Spy shot of Mahindra S101 towing a pickup truck during test. 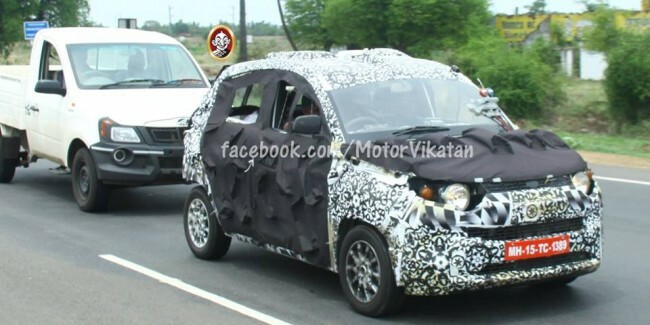 Mahindra is likely to launch the S101 with the same three-cylinder 98bhp 1500cc engine that powers the Quanto. Power and torque are likely to be upped for the new car, and for this application the engine will be transversely mounted, like that of the XUV500. As per the rumors, company is reputedly spending a high amount of Rs 4,300 crore for Mahindra’s new engine family which is said to span from 1.2 to 1.6 litres. 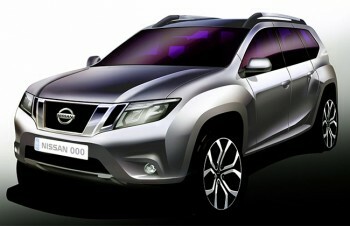 From the sources, we came to know that this new compact SUV will be available in both petrol and diesel variants. For the petrol variant, it will have 1.2 liter turbo motor engine mated to a 6-speed manual gearbox, on the other hand it will come with a 1.5 liter diesel motor which will have same mechanical specifications and build. Mahindra’s new SUV S101 will include two bucket seats at the front and single driver seat with a two-seat passenger bench. Its gear lever has been placed in the dashboard which creates legroom for the passenger seating at the middle. The starting price of this compact SUV is approx. 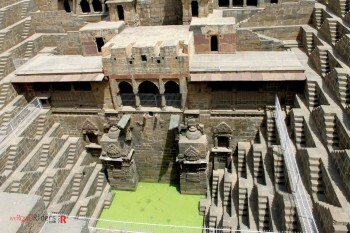 Rs 5 lakh and is expected to hit the market during they year 2014. Apart from these two variant i,e petrol and diesel it is also expected with a more luxurious version till the date of launch. 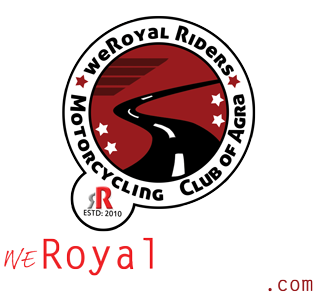 For more information on automobiles, stay tuned with us.